Blurb: A chilling atmospheric record that plays like a soundtrack to the legend of the 13 crystal skulls. Neo-gothic piano and ominous noises in the distance put you right in the story. Great for headphones. The legend of the crystal skulls is a recurring subject for authors, filmmakers, and artists of all stripes. From the latest Indiana Jones installment (they did make a fourth one, as much as you’d like to block it out) to the music of Mastodon, the story has remained a fascination in the minds of those with a penchant for where history and mysticism intersect. 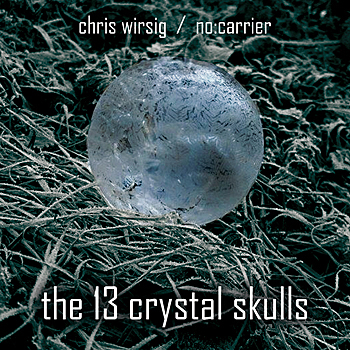 On Chris Wirsig’s latest record, The 13 Crystal Skulls, he takes us on the hunt for these ancient relics with dark and rich soundscapes and spine-tingling piano. German-born Wirsig is a veteran of the scene, beginning his career in the early ‘90s with the EBM project No:Carrier. He is also a classically trained pianist and saxophonist and in the last decade, has devoted those skills to creating soundtracks. This album straddles the line between the two as Wirsig plays the role of both composer and sound editor. The opening “Overture” sets a stark mood with looming metallic crashes and discordant piano. The ambience surrounds like a gusting wind, daunting and foreboding. Wirsig withholds percussion until midway through the second track, giving its entrance a strong impact. “Ceremony in Tenochtitlan” sets the scene of an ancient ritual as Egyptian-like melodies and grandiose bass cascades place the listener in a massive tomb at the moment of sacrifice. Persistent tribal drums build tension. A lofty guitar lead adds to the sense of adventure. This is the type of score that would make you jump out of your seat in a movie theater when the demons are set loose. The track is a standout that captures the essence of the piece as a whole. Songs like “Carved Legend” and “On the Hills” deliver a lighter air of enchantment, alluding to the joys of discovering the secrets behind the idols. Synths go whizzing by like sympathetic spirits and bells remind of a child-like innocence amid the macabre landscapes. Others like “The Cave” allude to the danger following your every step. A cacophony of noise implies subterranean monsters while high-pitched flutters imitate bat flybys. Chris Wirsig’s latest album is a masterfully constructed piece of densely textured soundscapes. 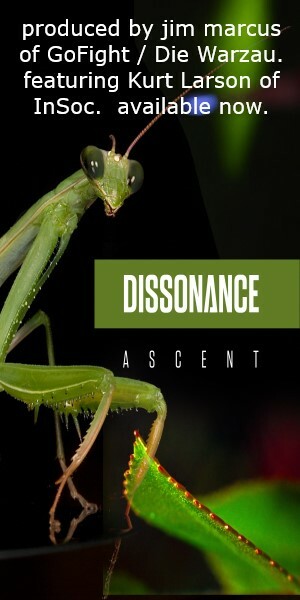 He manages to blend blatantly synthetic sounds and give them an organic feel as if they are naturally occurring. You must be warned that it is intended for the consummate sound nerd; gamers who can’t get enough of post-apocalyptic atmospheres while they’re playing are sure to love it as well.